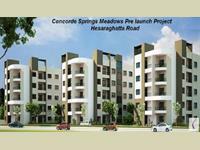 Concorde Group is proud to unveil their most recent project - The Spring Meadows. A 3.19 acres urban living experience of 356 luxurious apartments situated at the heart of the Garden city, Bangalore on Hesaraghatta Main road. 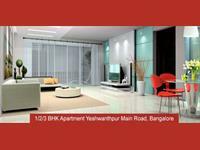 The Spring Meadows has 1, 2 & 3 BHK units ranging from 596 sq.ft to 1477 sq.ft. The project is conveniently located on Hesaraghatta Main Road making it absolutely perfect for those who want a stress-free travel to their work as it is very close to the Namma Metro station which is sure to help you commute with minimum hassle. Spring Meadows is not an apartment, it’s a seamless experience on its own. 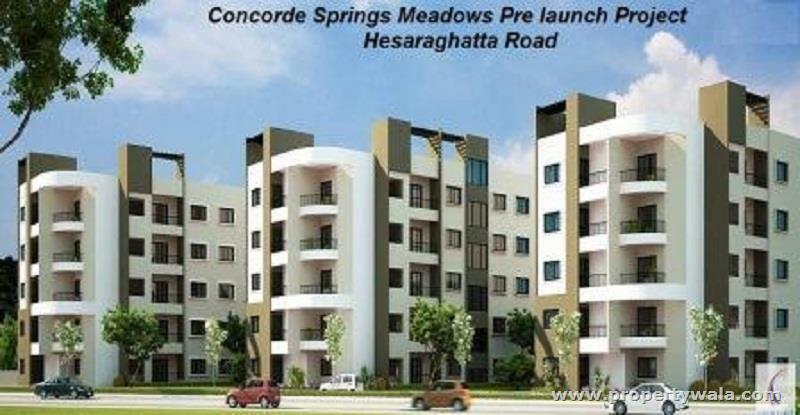 Spring Meadows is located in a location that is near the lucrative Tumkur road corridor and Peenya industrial zone which are areas that show a great capacity for growth in the coming years. Spring Meadows is located about 12km away from the Hesaraghatta Reservoir that is a man-made freshwater lake built on the Arkavathy river in 1894 and has several birds migrating there from time to time. It’s a perfect location to go for nature walks and to relax. The Concorde Spring Meadows is just the place to be if you wish for a life that’s free of chaos and stress but still be connected to the world.